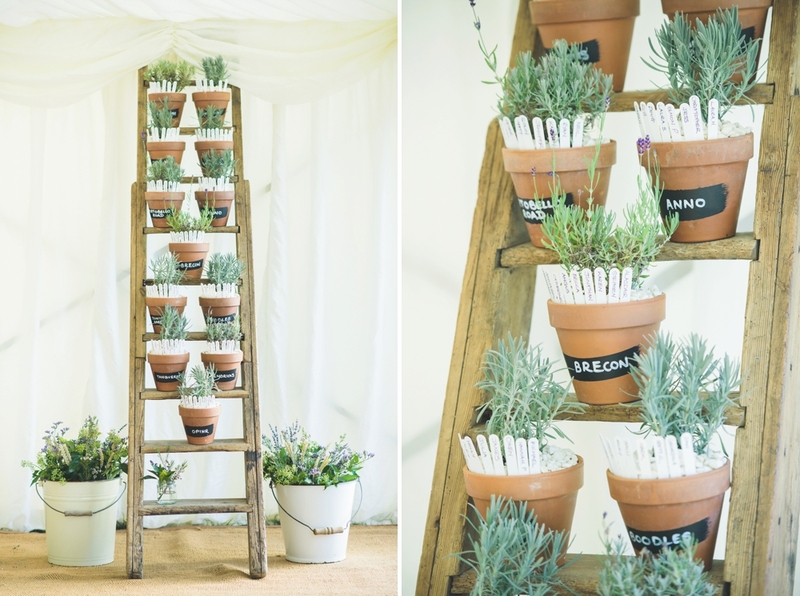 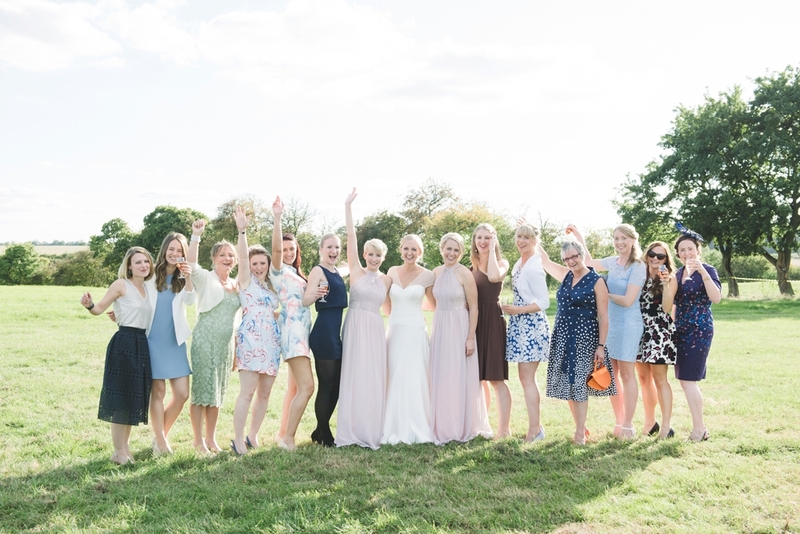 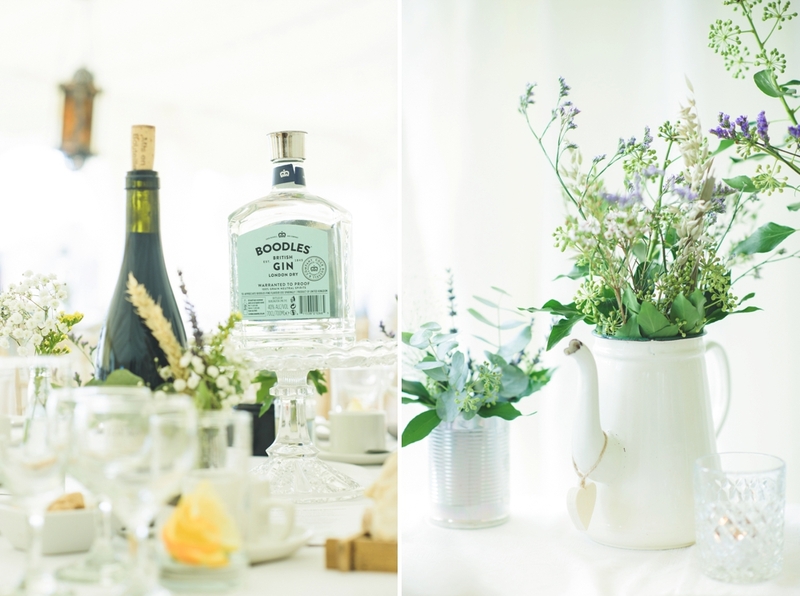 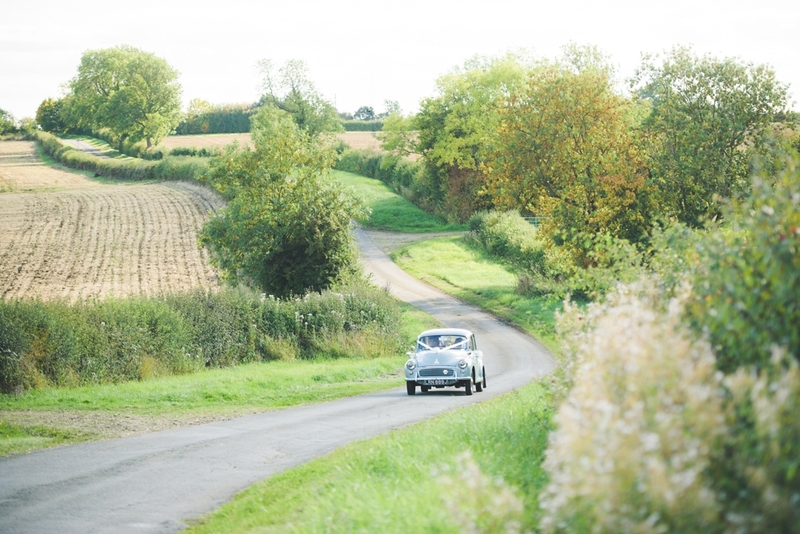 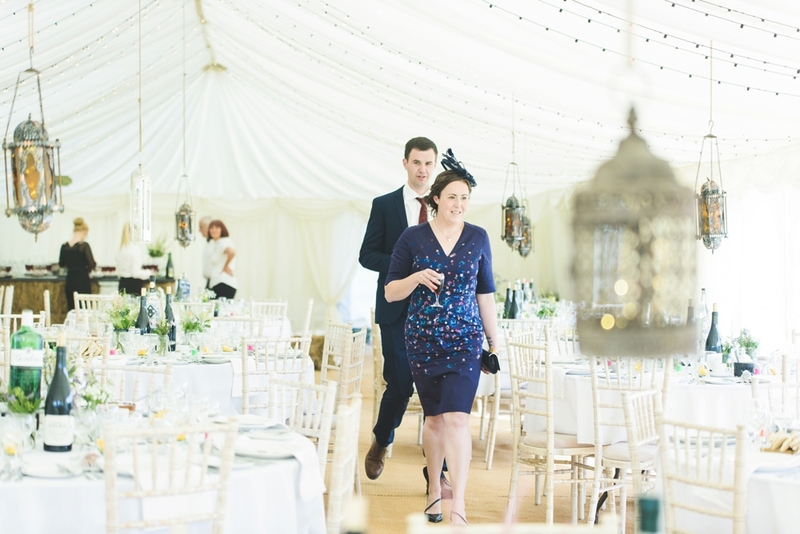 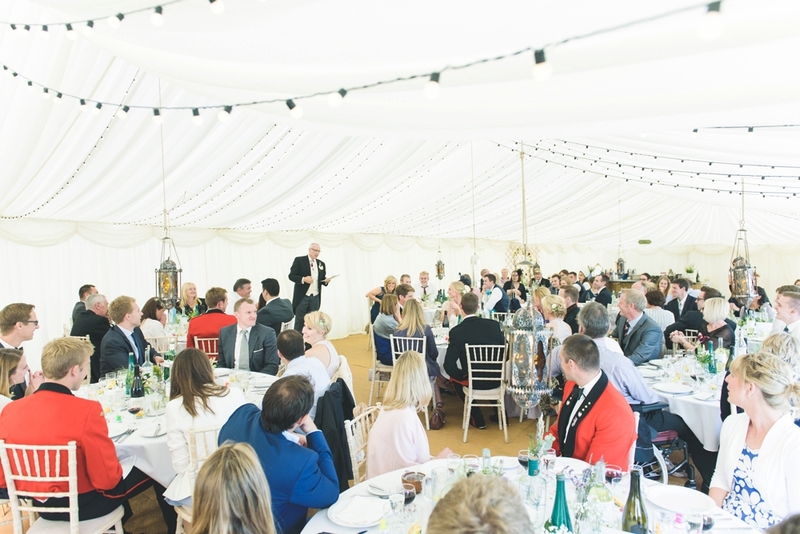 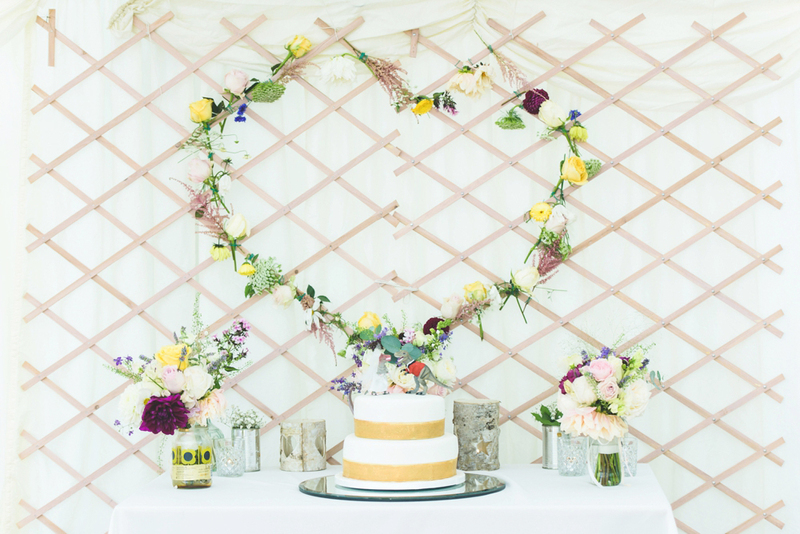 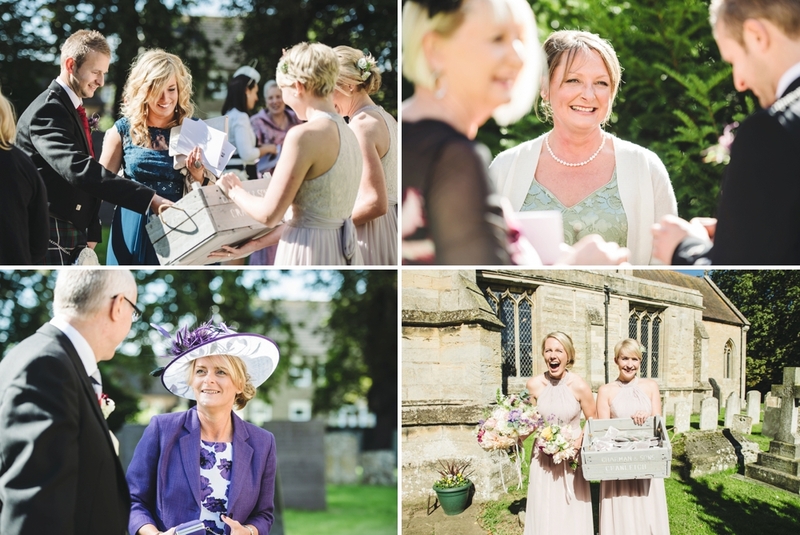 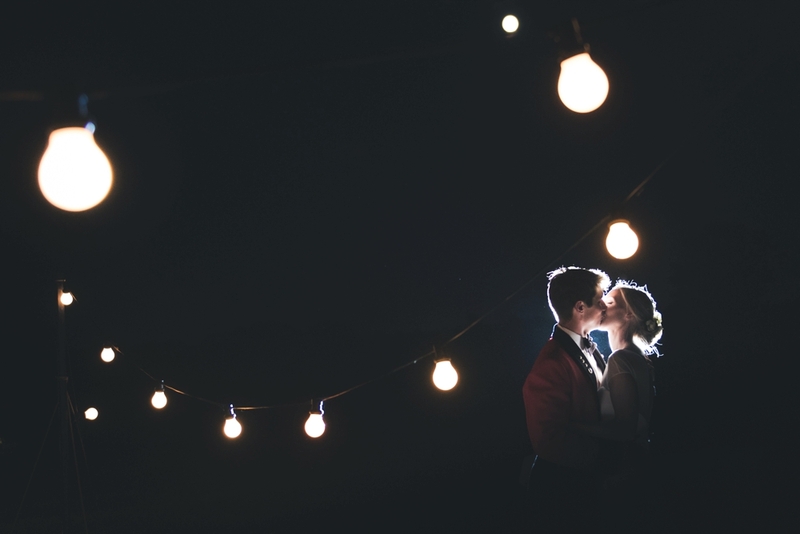 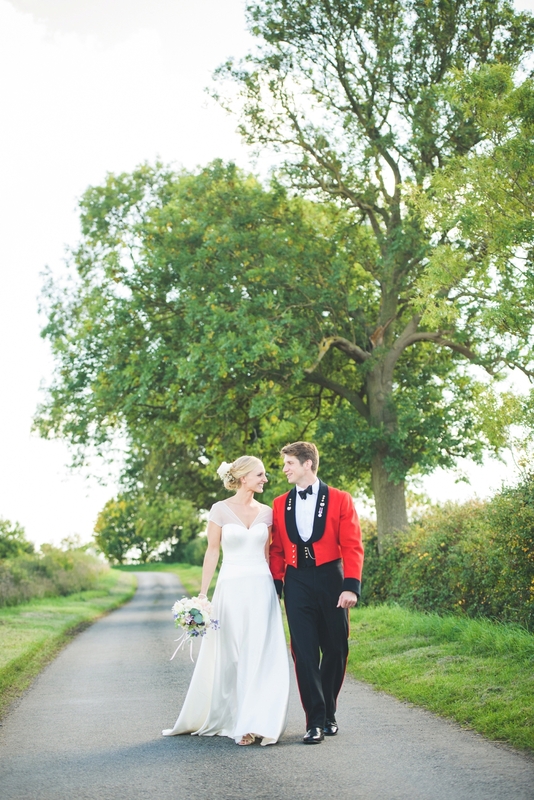 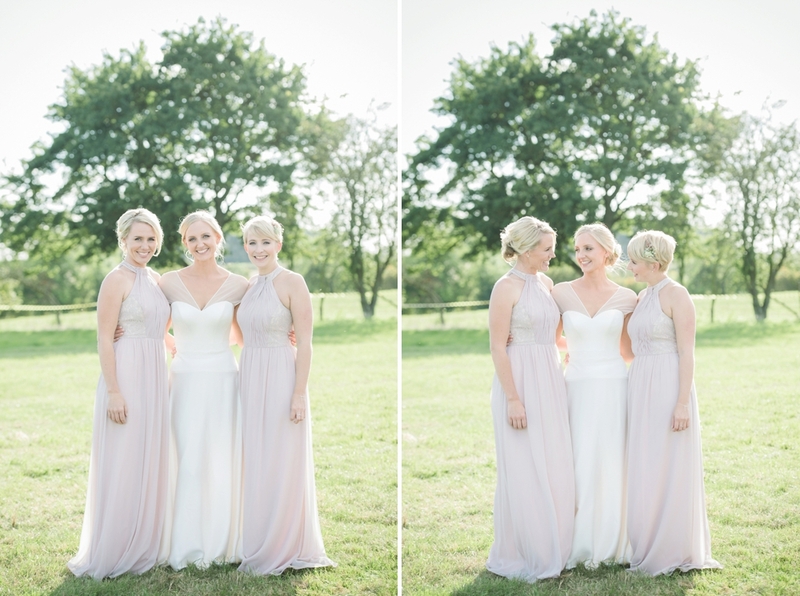 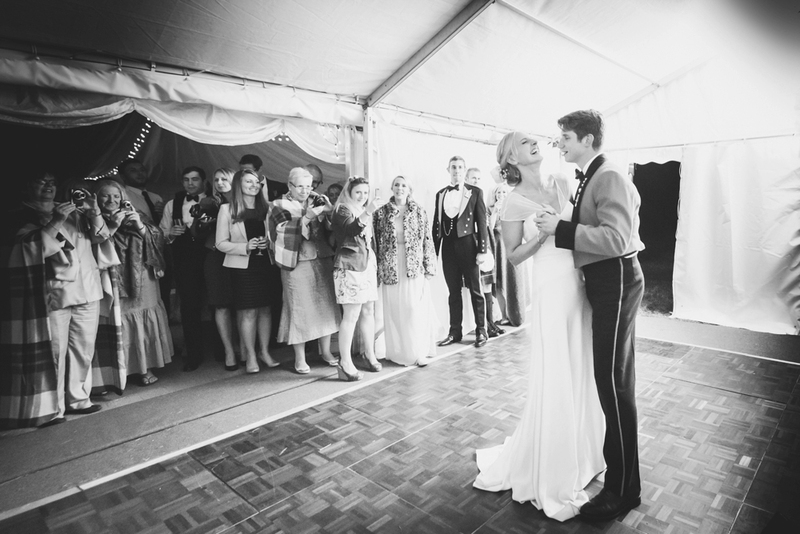 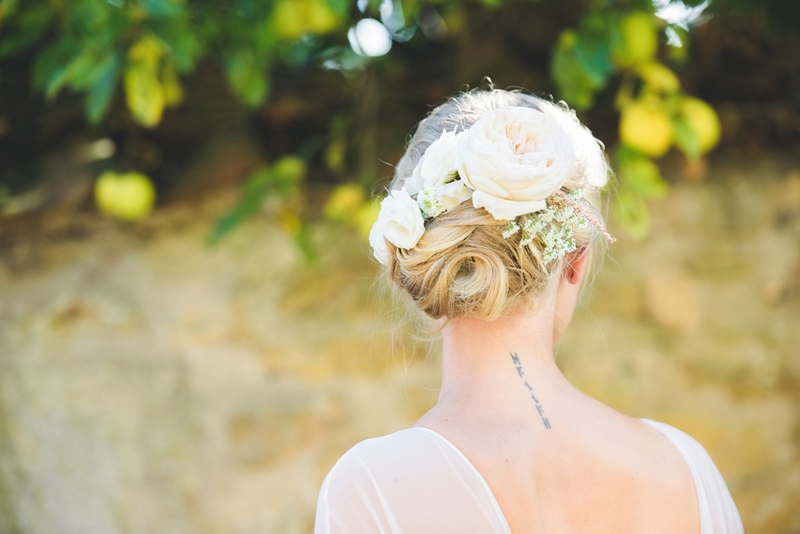 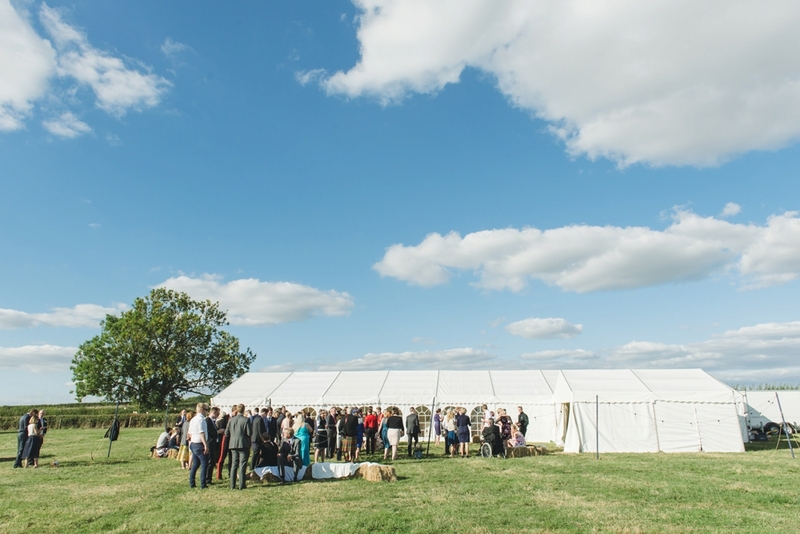 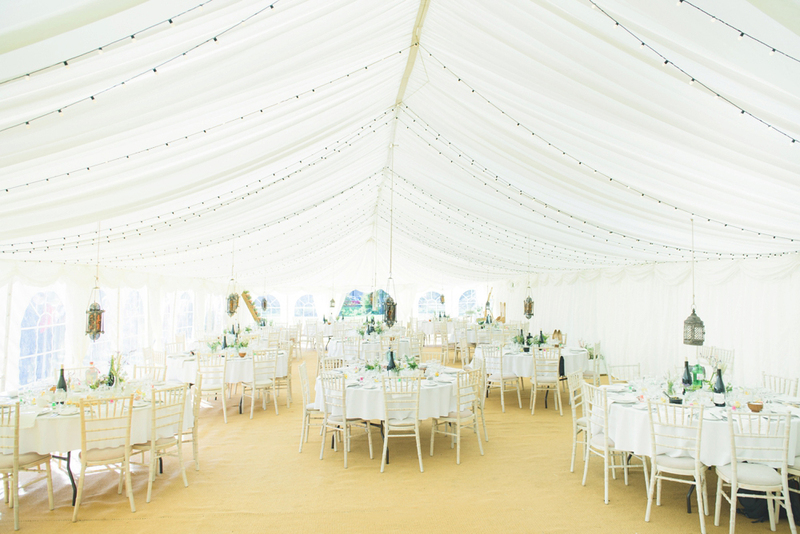 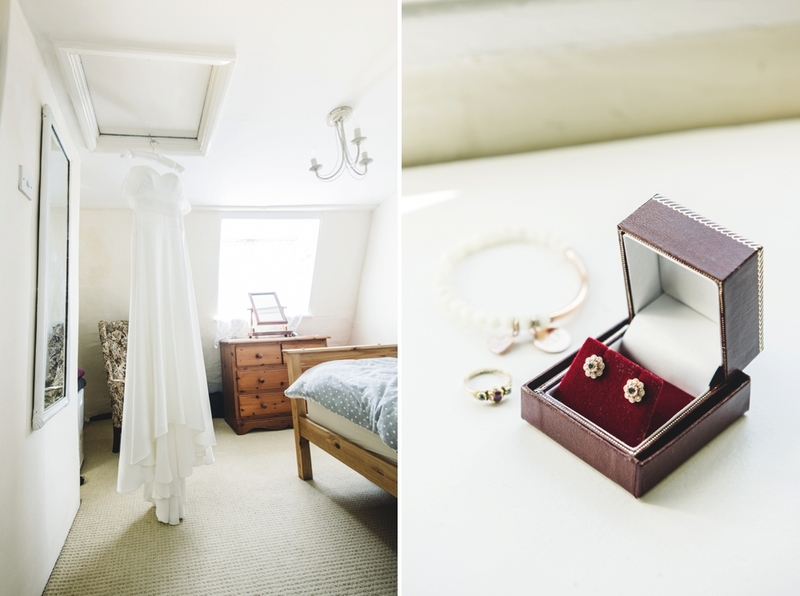 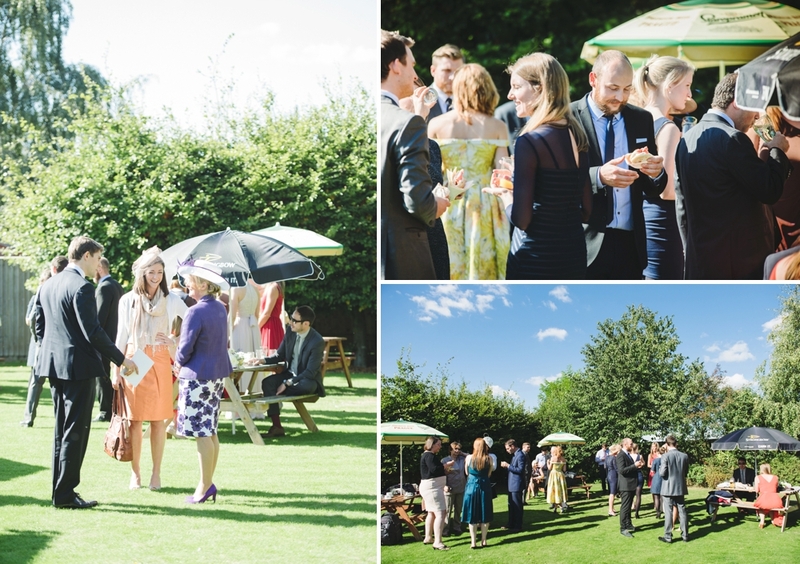 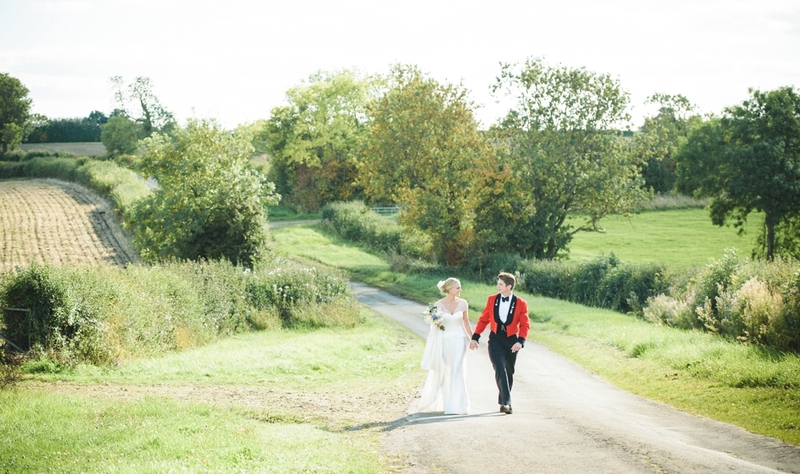 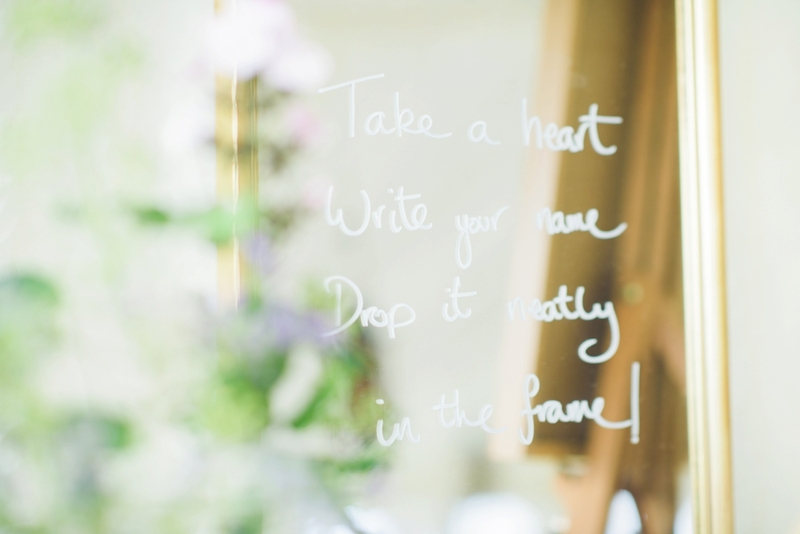 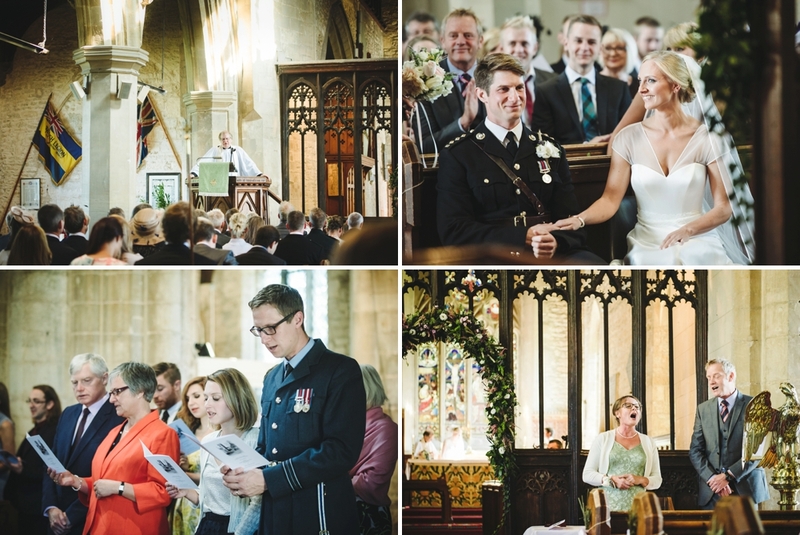 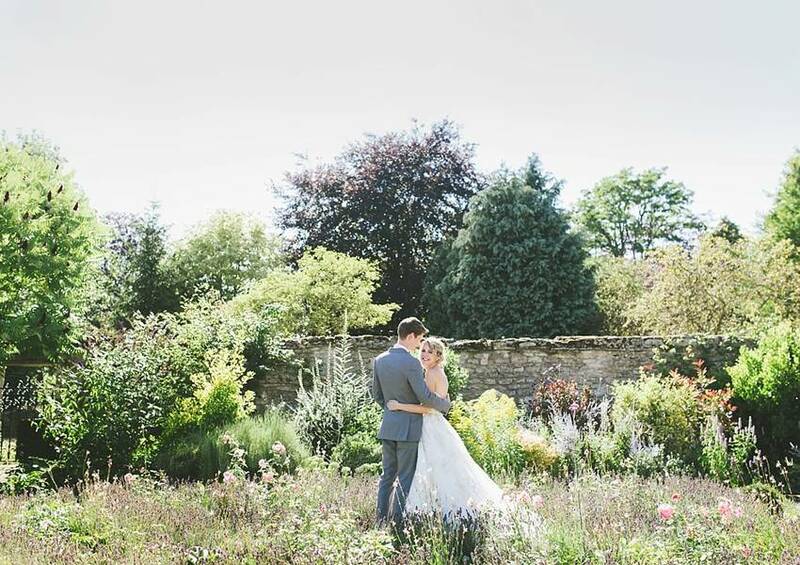 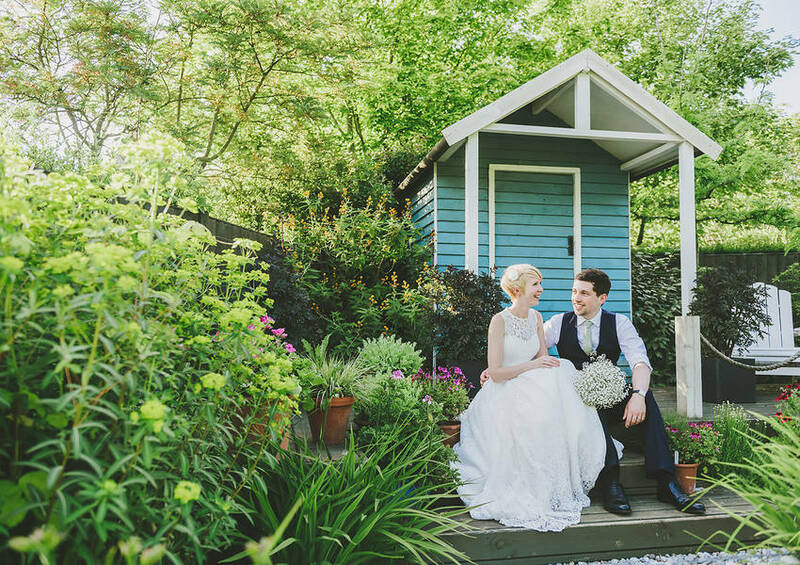 Becca and Jonathan had the most picturesque, rustic, Lincolnshire wedding. 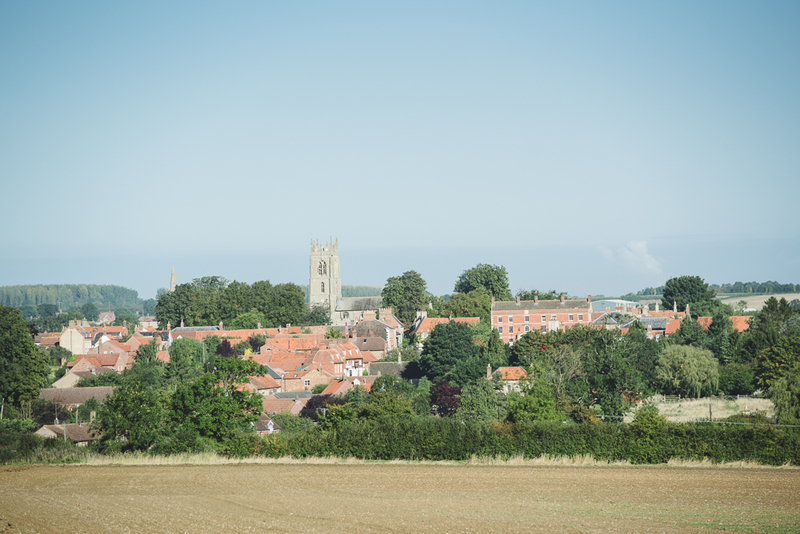 The whole day took place around the village of Folkingham, just a few miles away from where I’m based in Bourne, on a sunny day in late September last year. 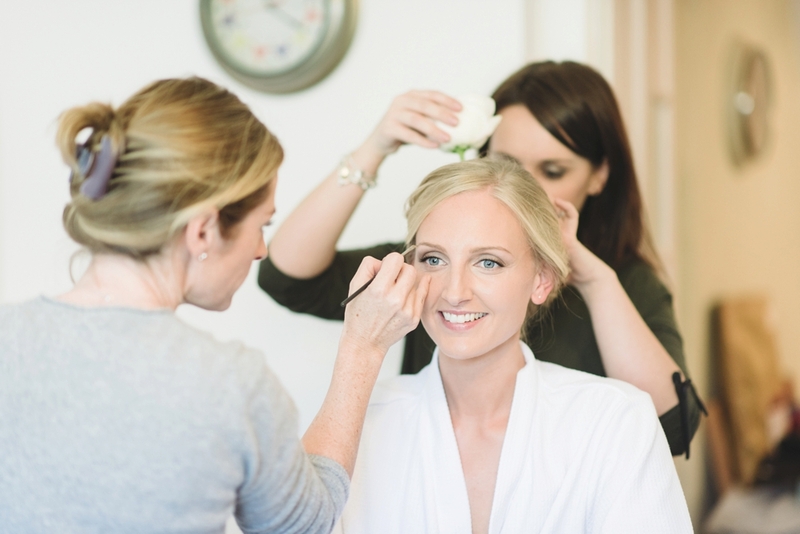 The day began with me photographing Becca getting ready at home and Liv, our second shooter for the day, capturing Jonathan’s side of the story across the road. 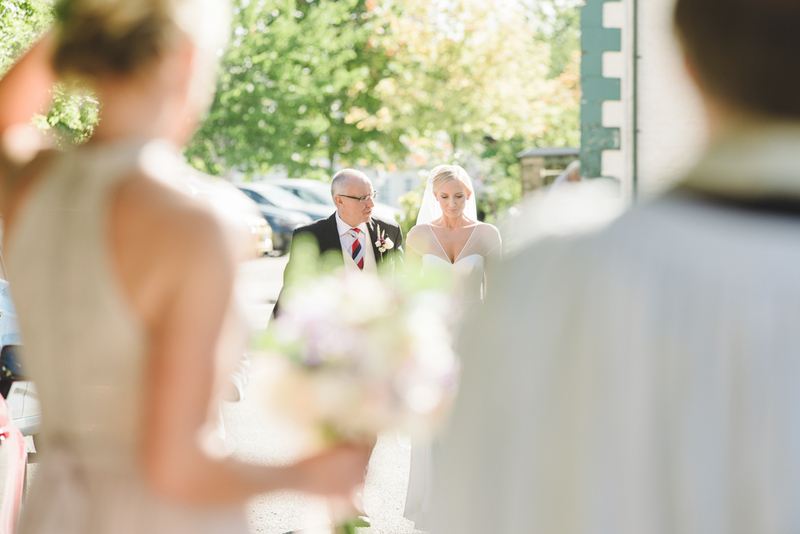 Both Jonathan and Becca decided to walk to church which made for some lovely natural photos – a prime example of when a second shooter is essential to tell the whole story and capture every moment. 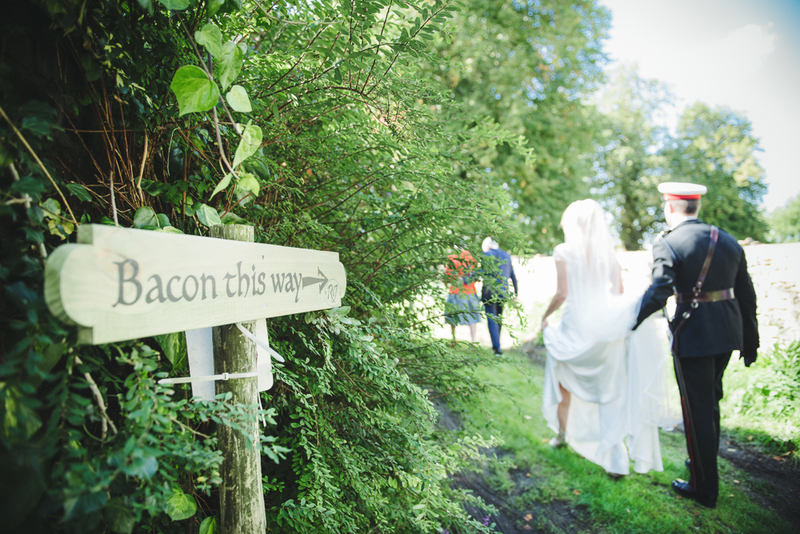 After the ceremony there was a short stop for a bacon sandwich brunch at the local pub while we took Becca and Jonathan away for their couple shots. 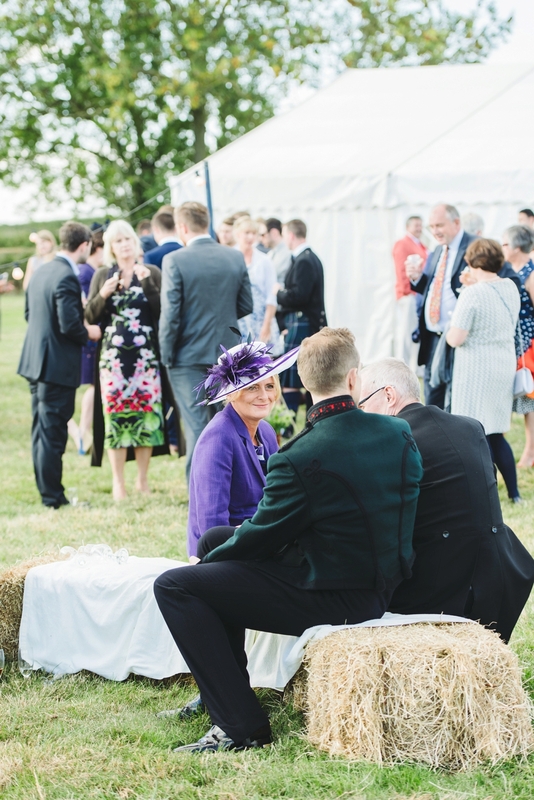 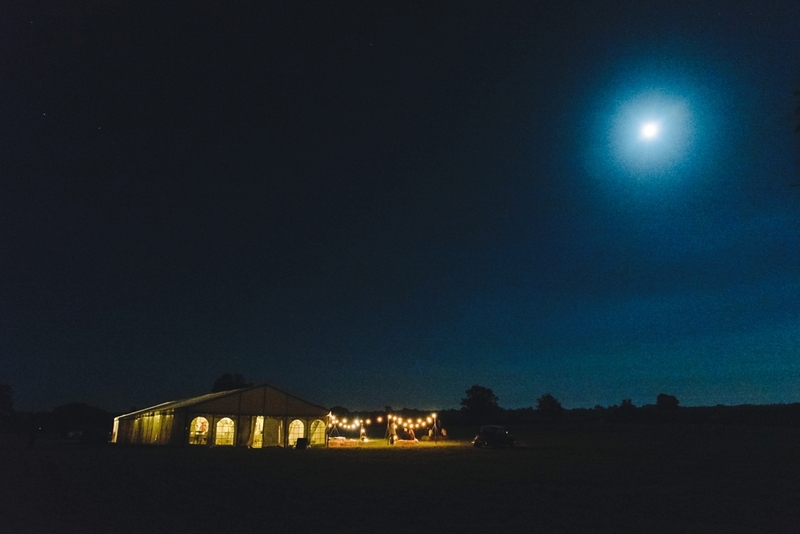 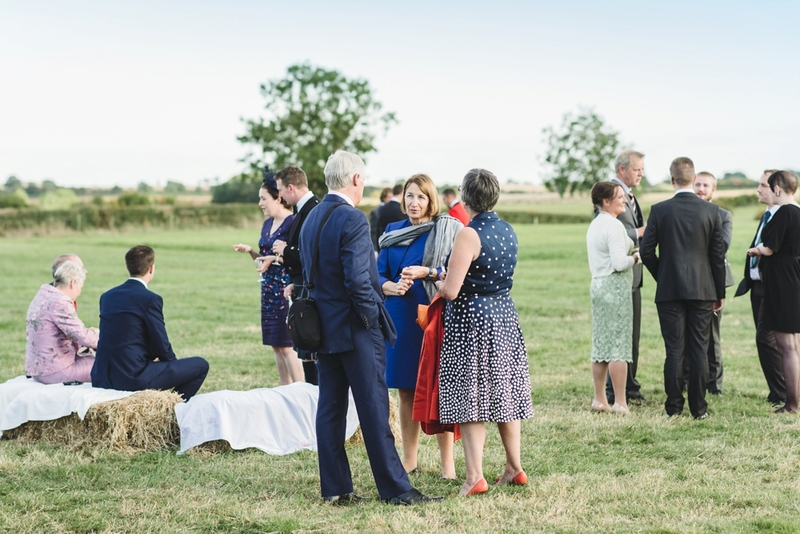 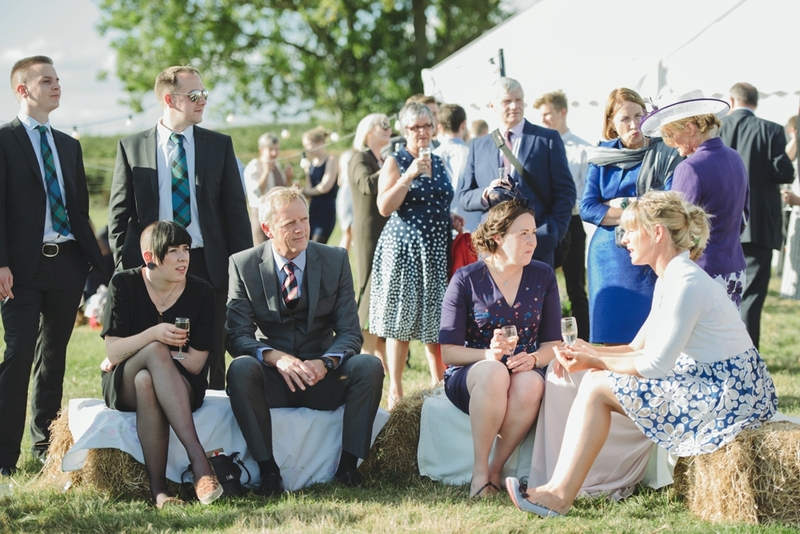 The party then continued in Walcot, the next village along from Folkingham, where guests enjoyed their drinks in the open fields looking back towards the church. 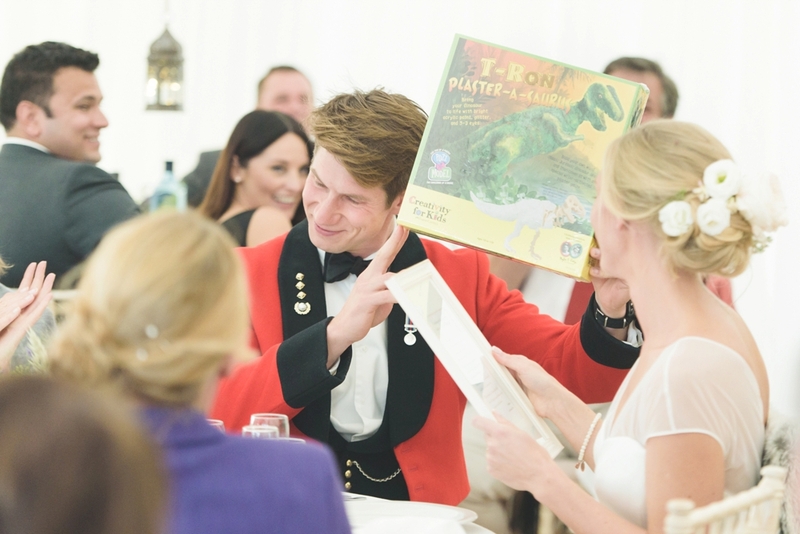 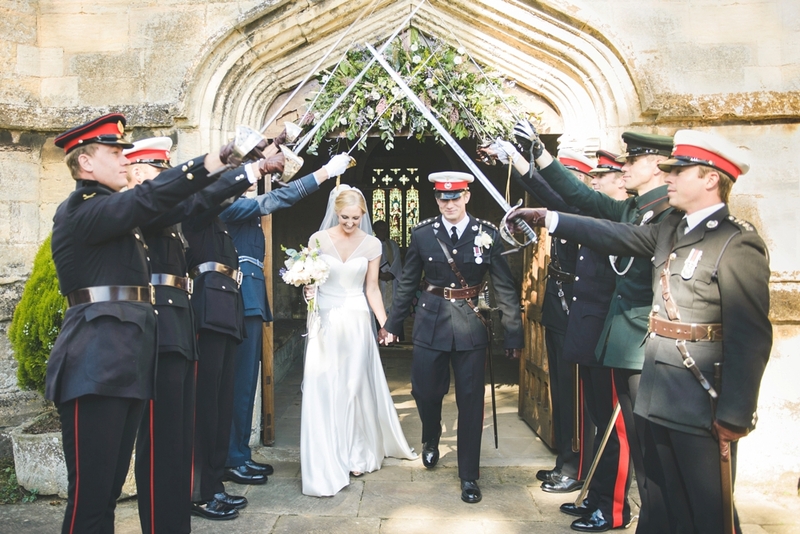 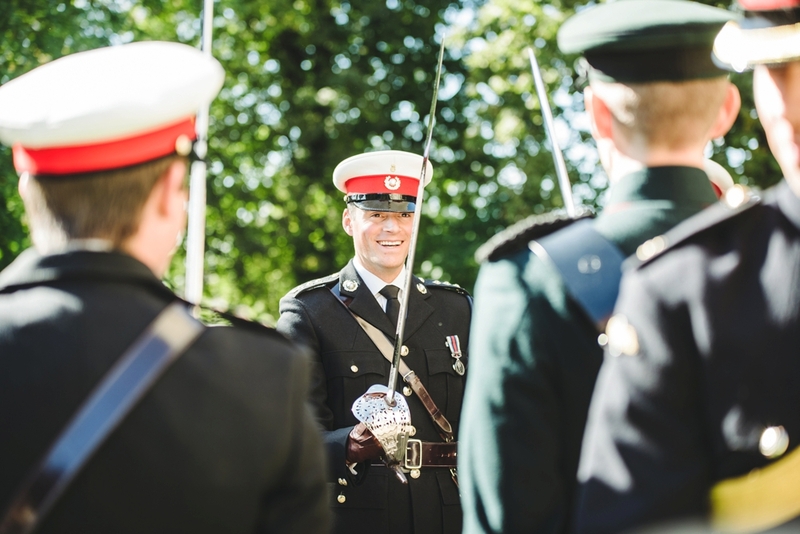 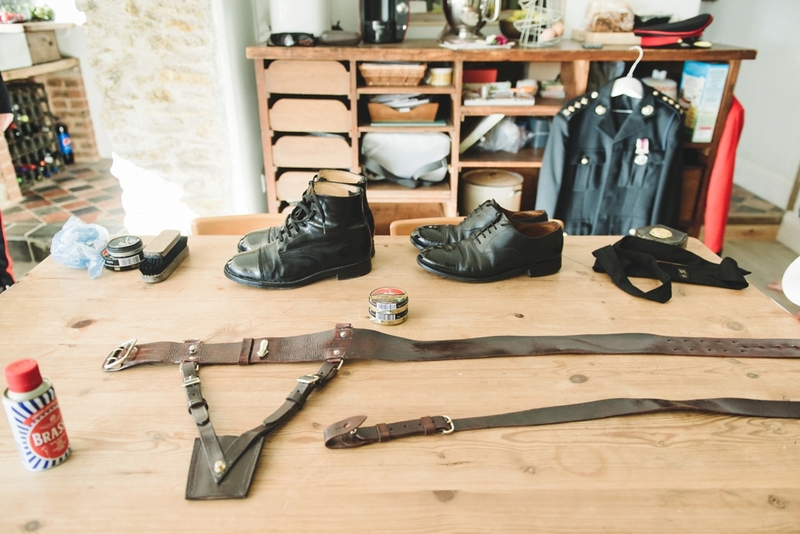 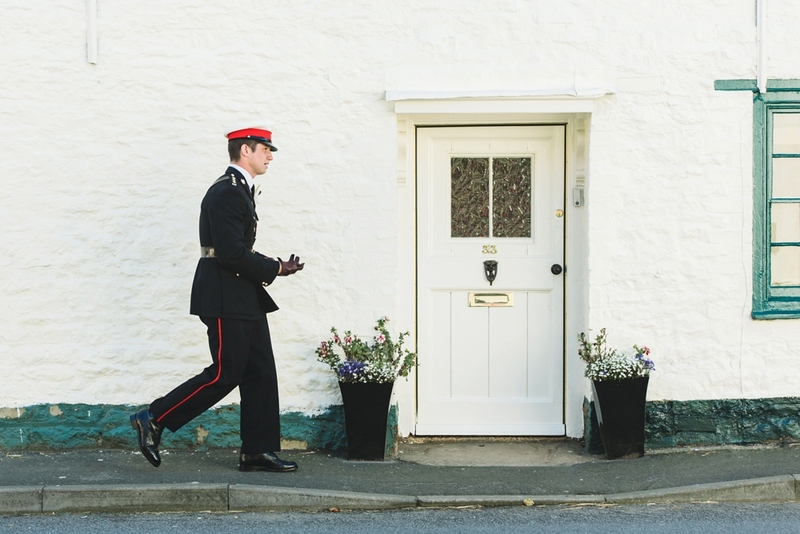 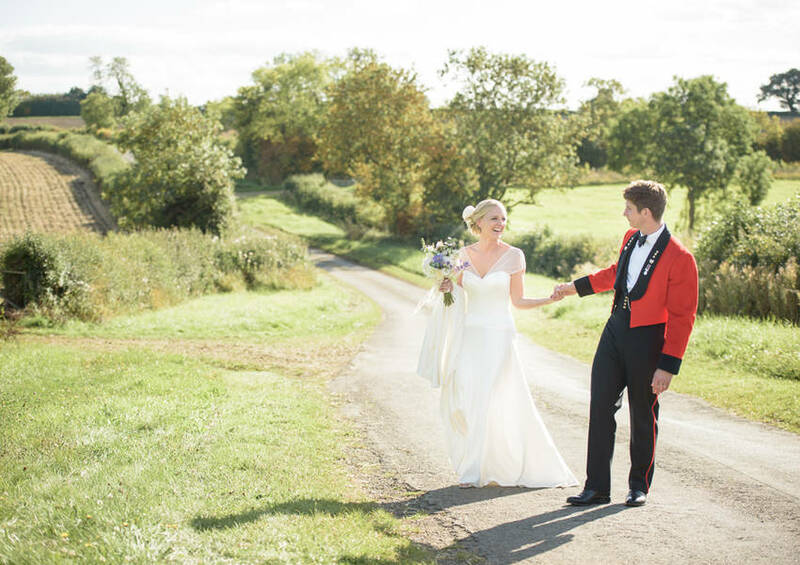 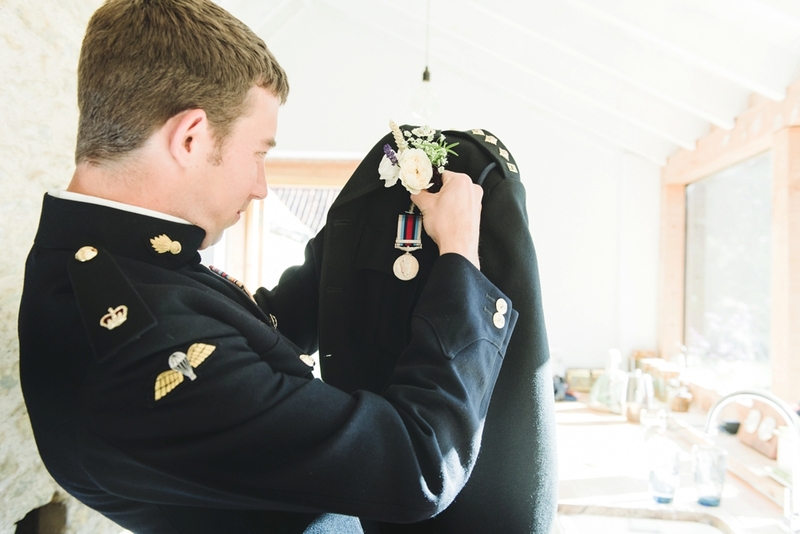 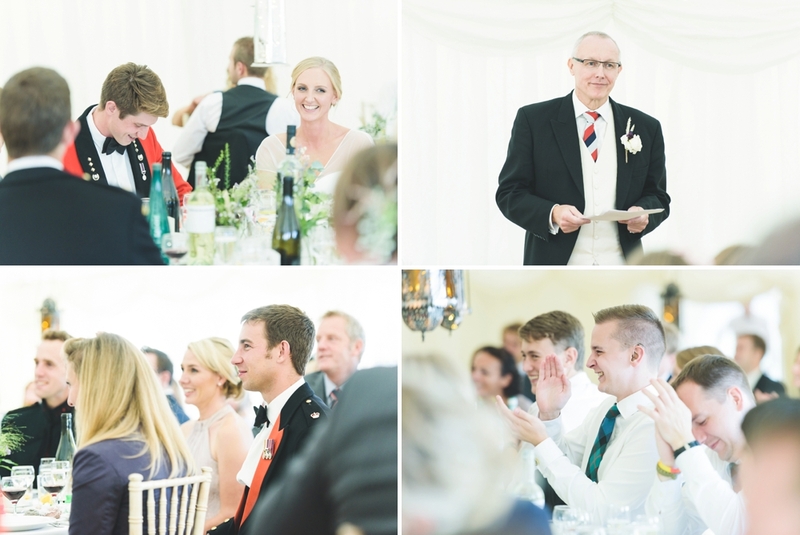 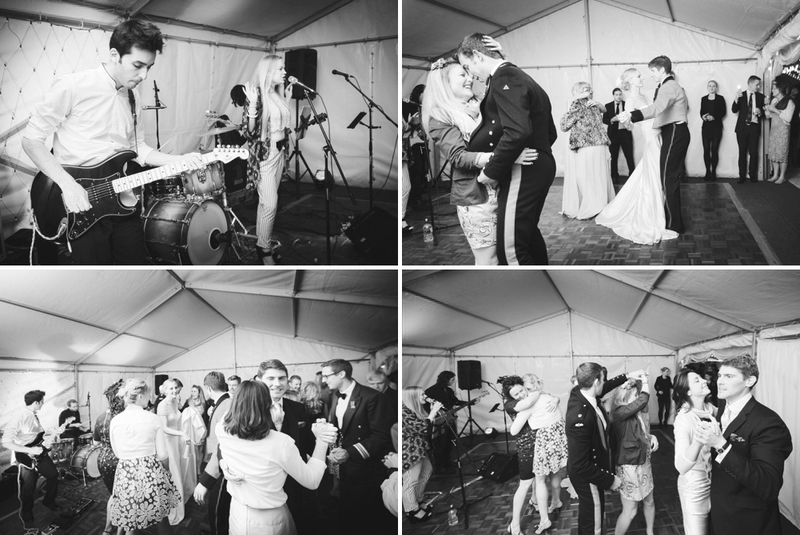 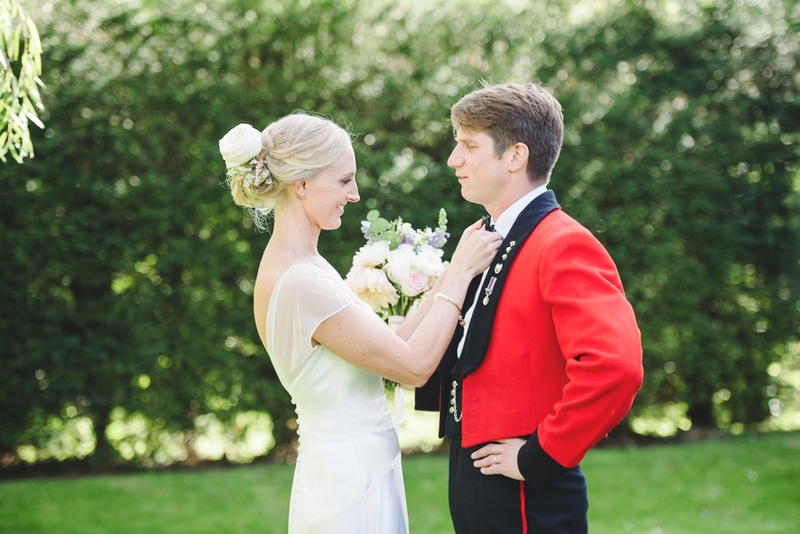 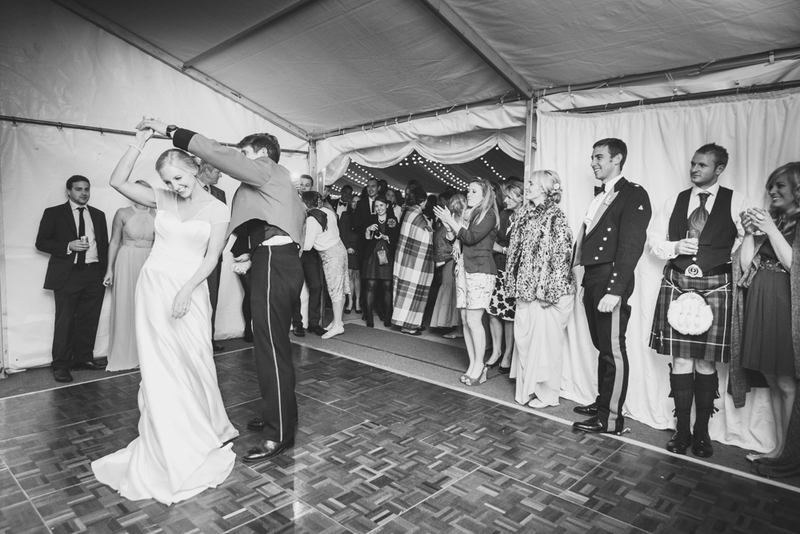 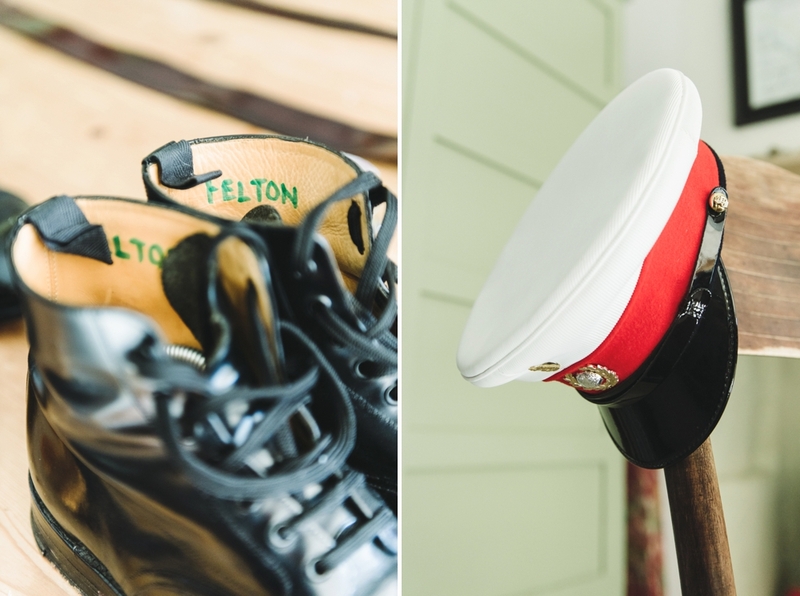 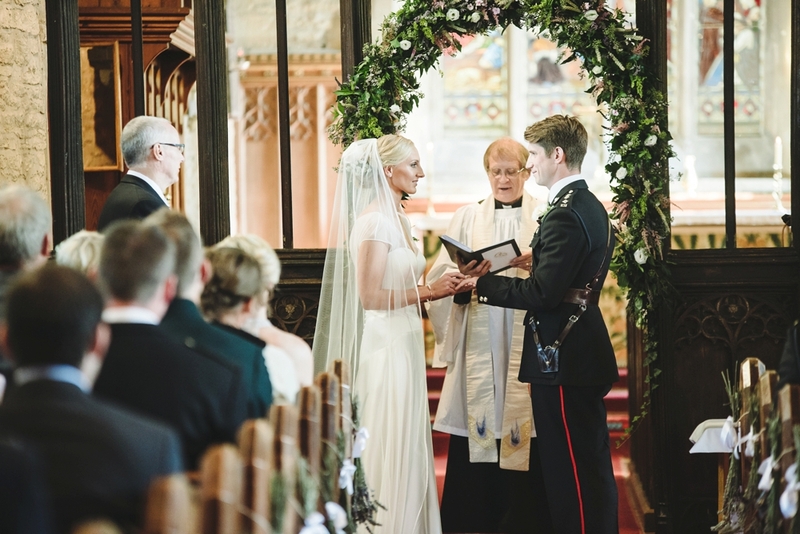 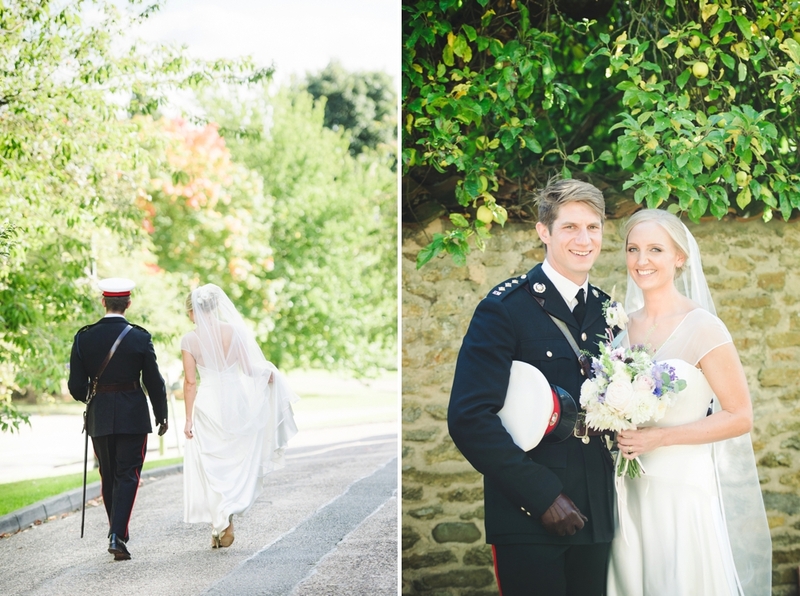 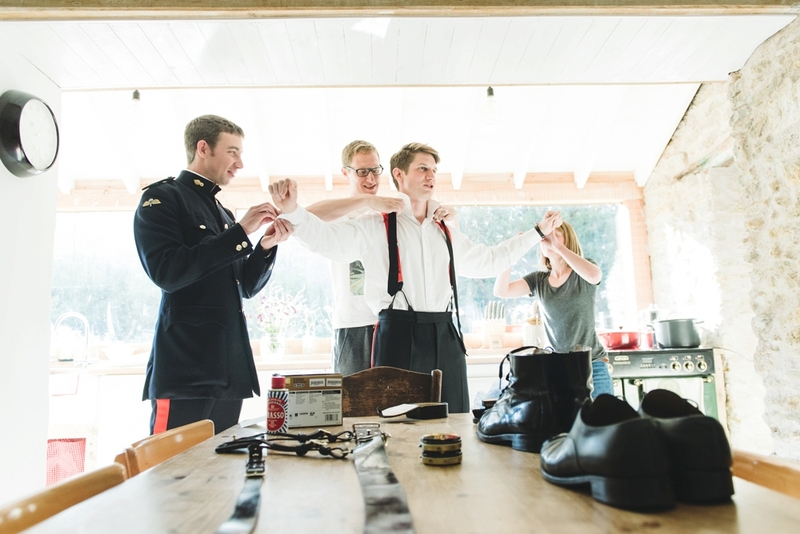 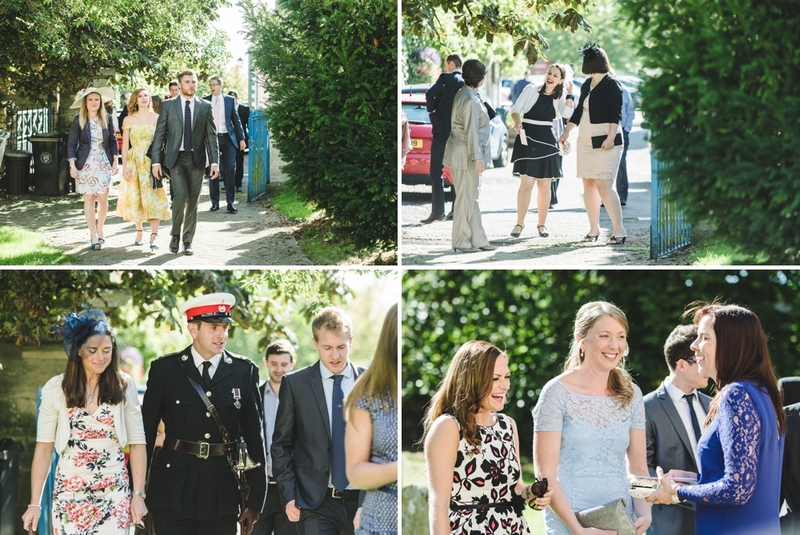 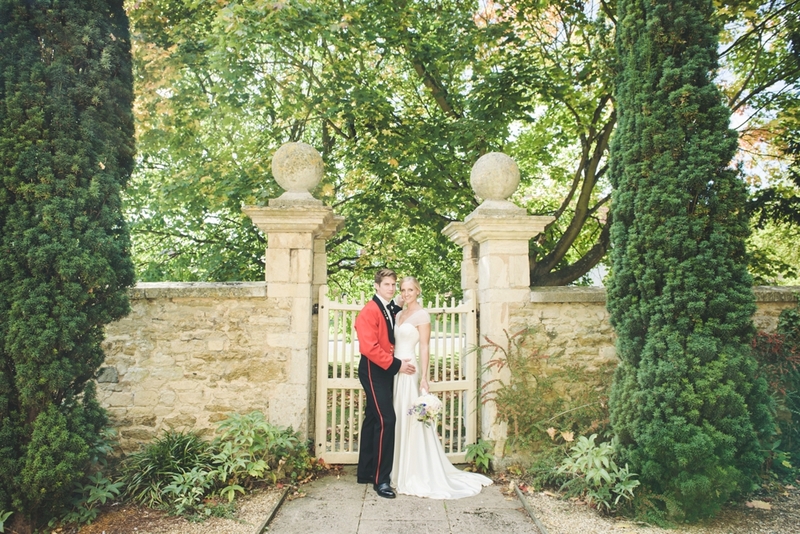 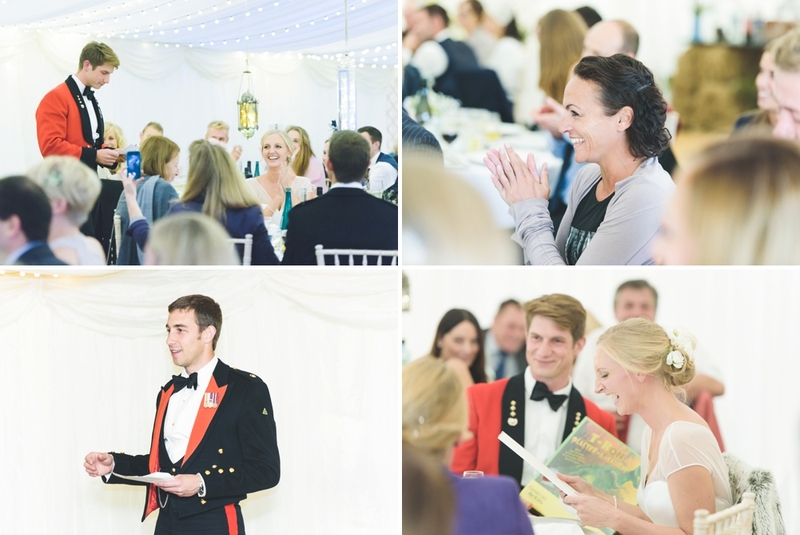 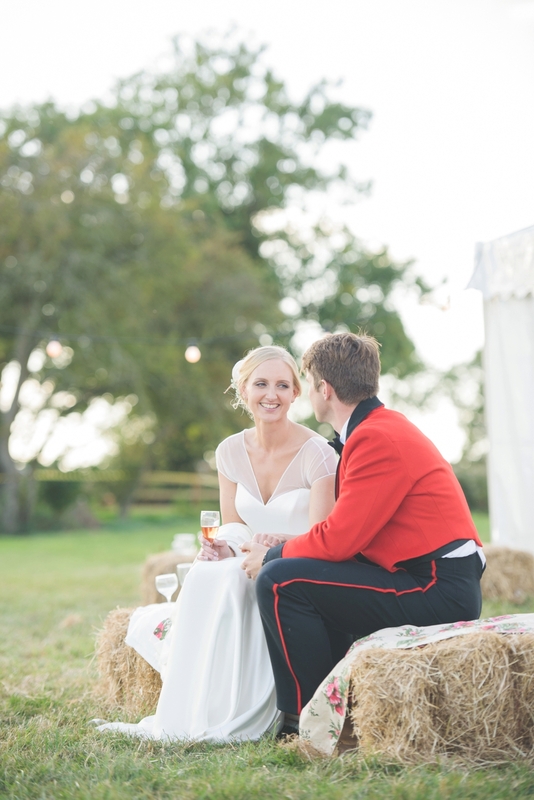 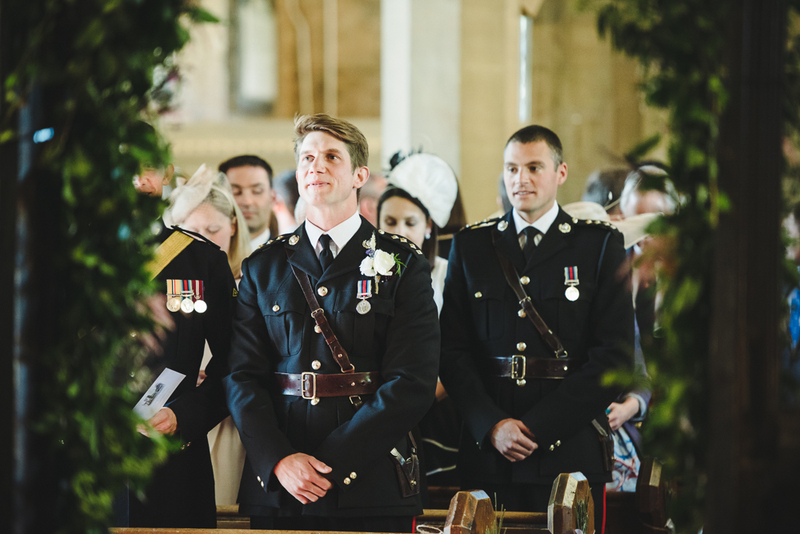 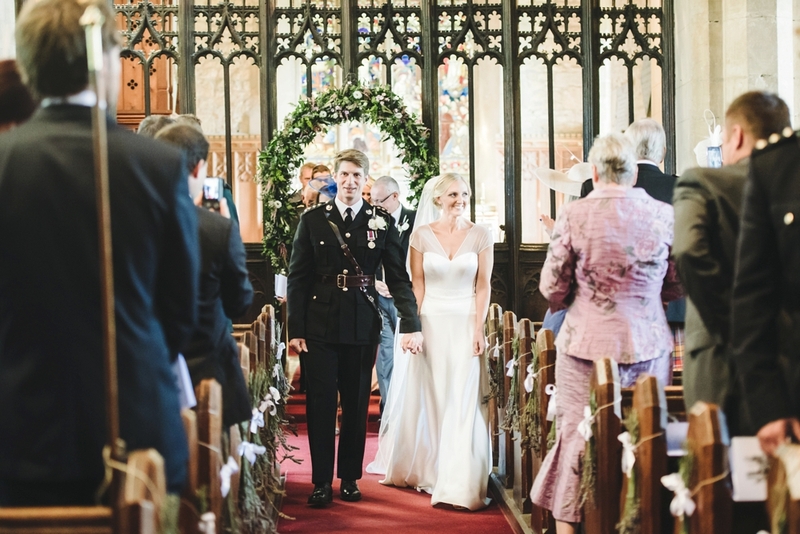 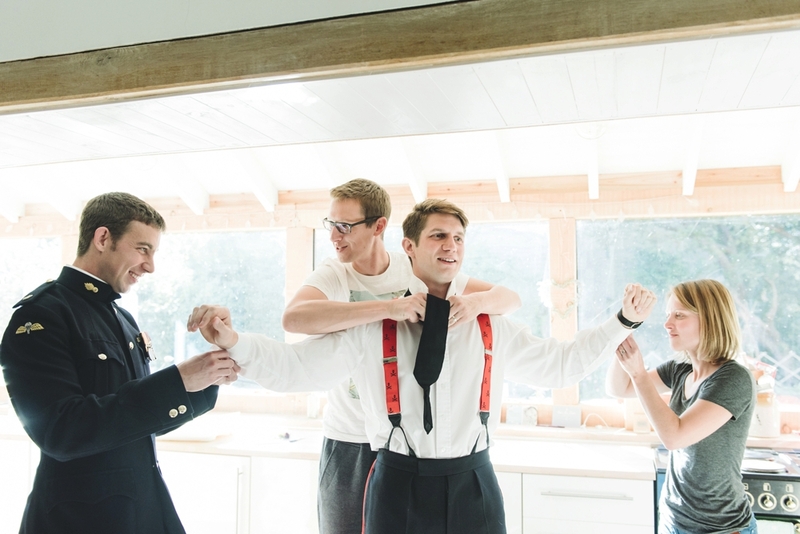 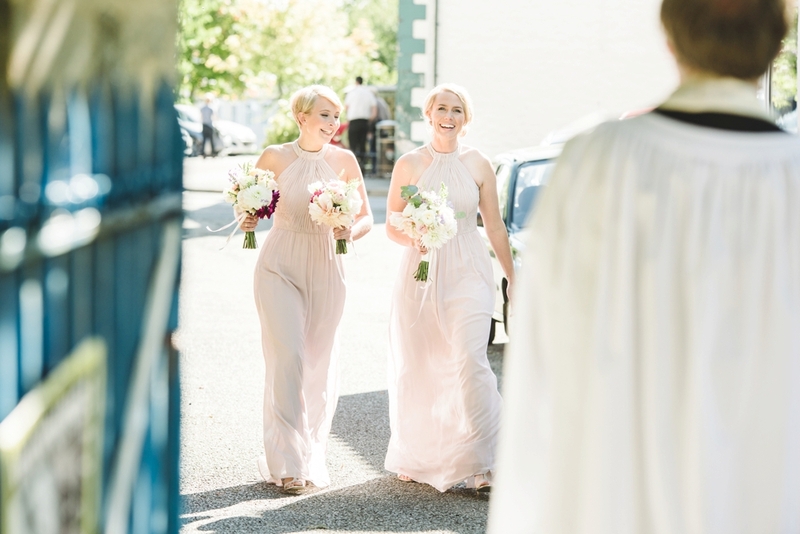 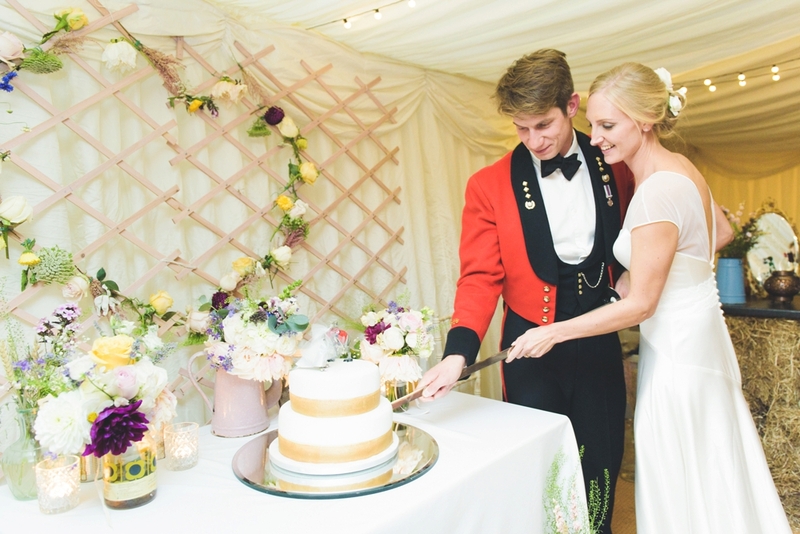 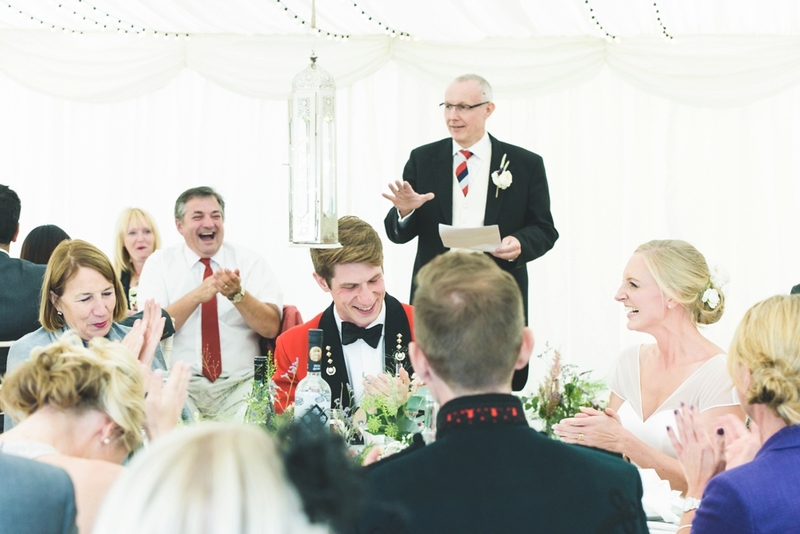 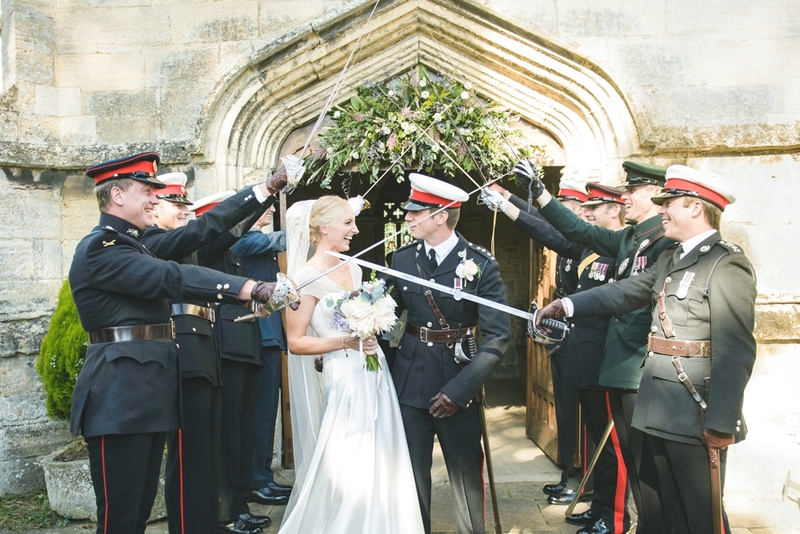 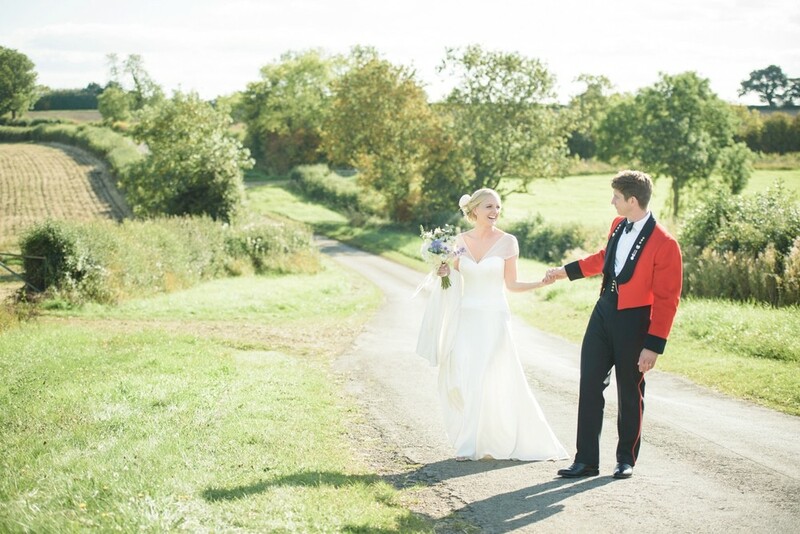 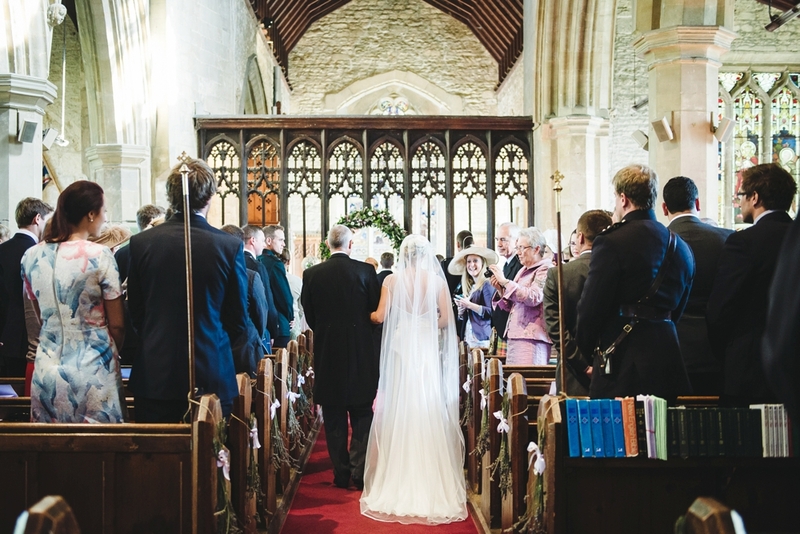 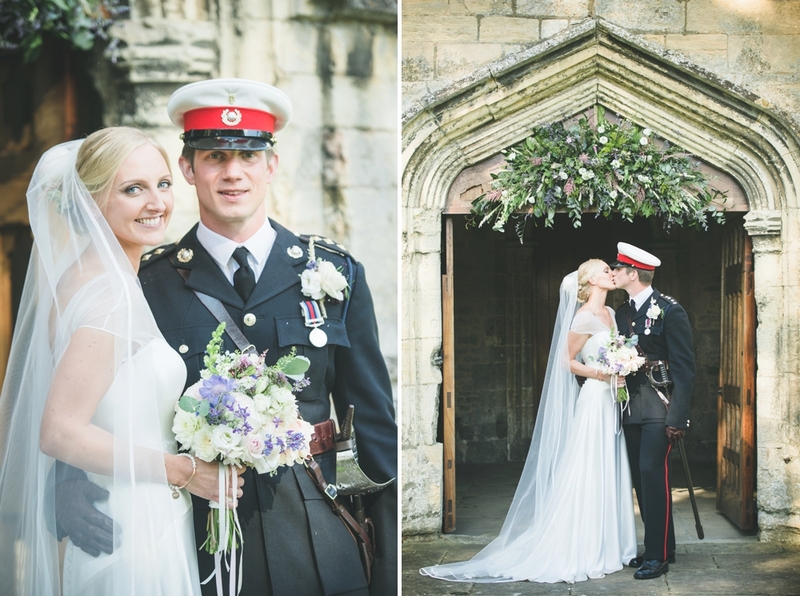 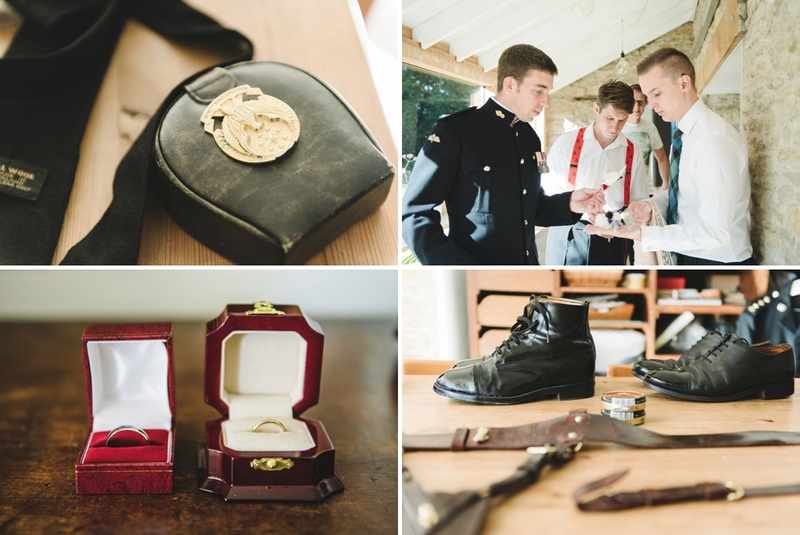 As both Becca and Jonathan are in the military there were lots of unusual traditions and little details to capture throughout the day, such as the guard of honour as they left the church and Jonathan’s change of outfit before the drinks reception. 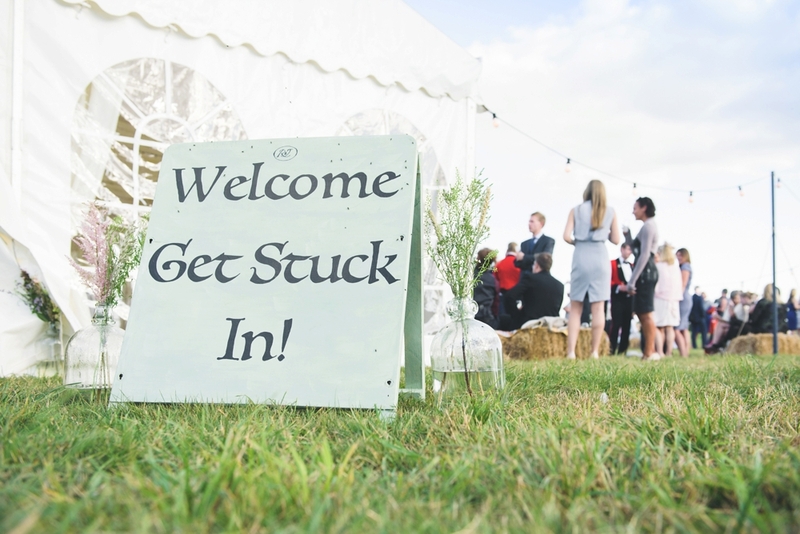 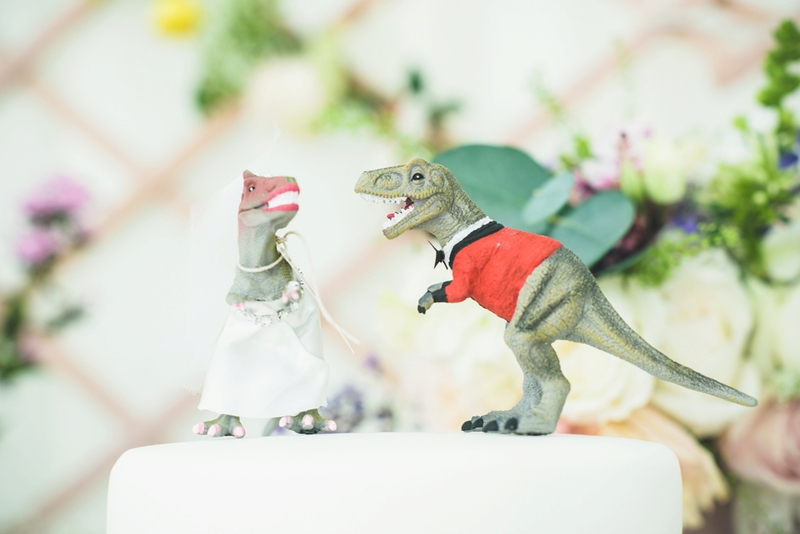 Friends and family chipped in to create much of the marquee decoration and I absolutely adored their cake topped with two little dinosaurs and their bespoke wooden signage. 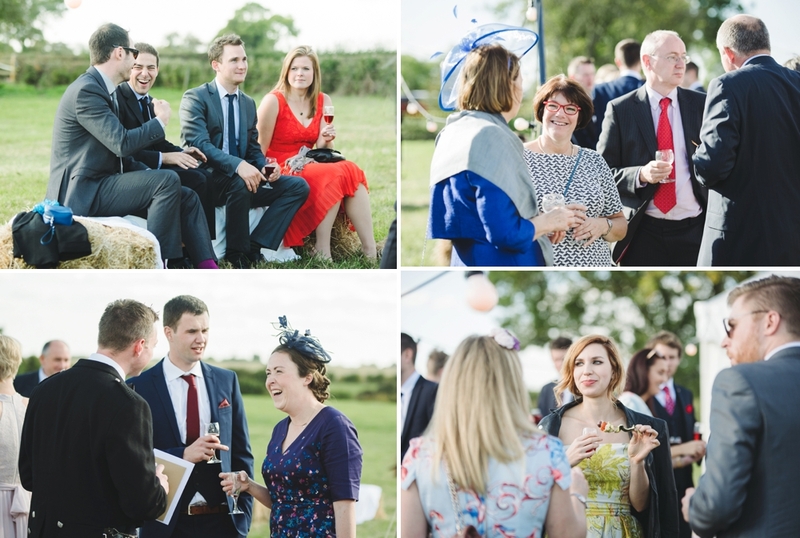 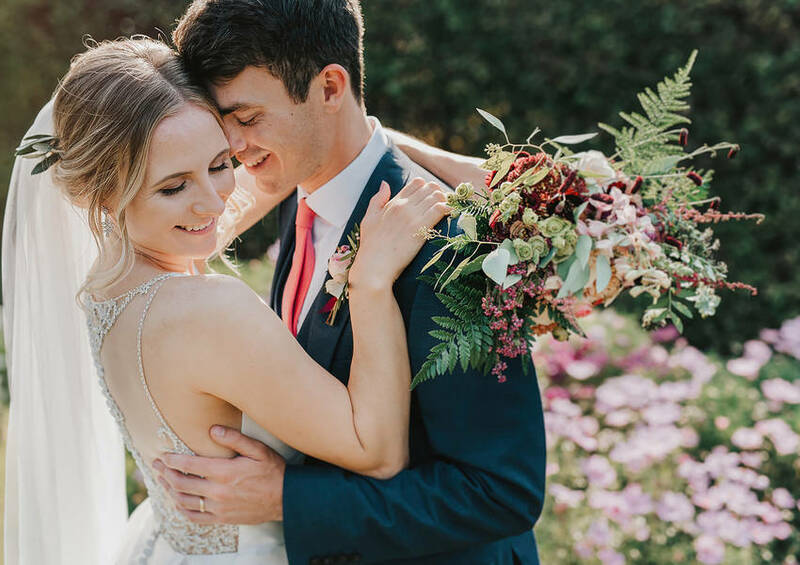 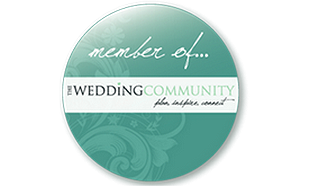 We really enjoyed photographing this beautiful Lincolnshire wedding and I hope you enjoy browsing through some of Becca and Jonathan’s photos! 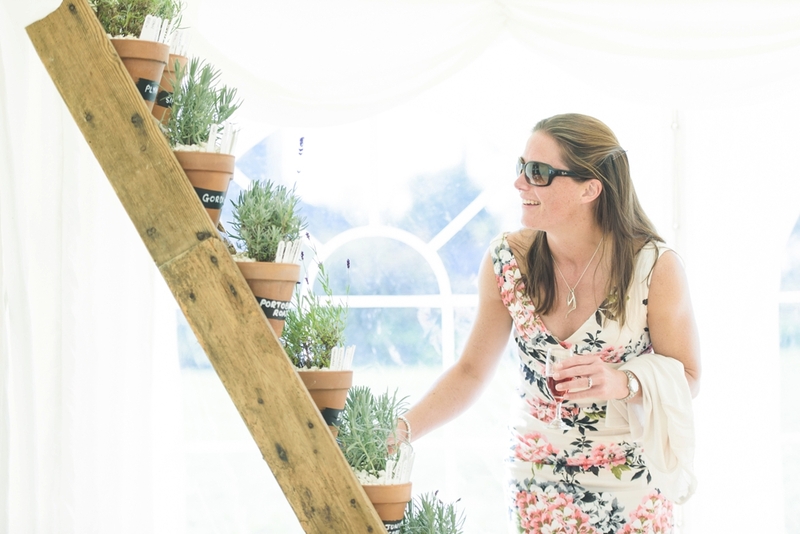 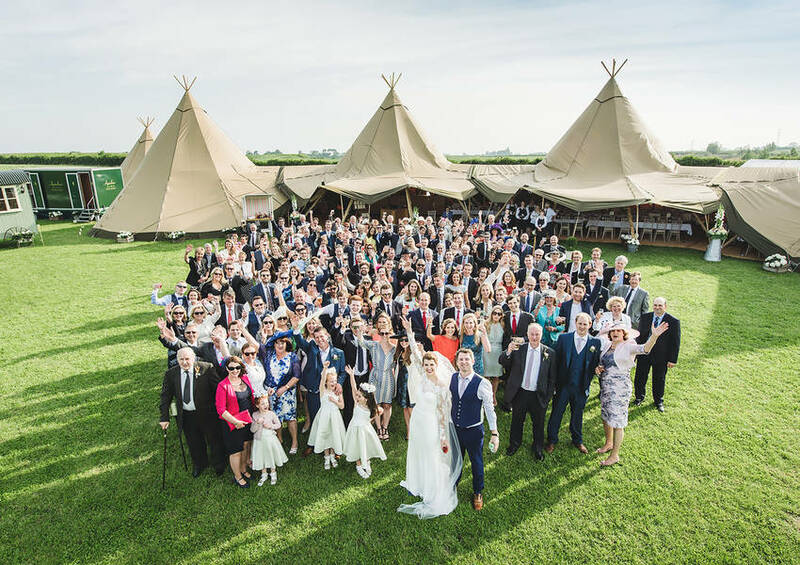 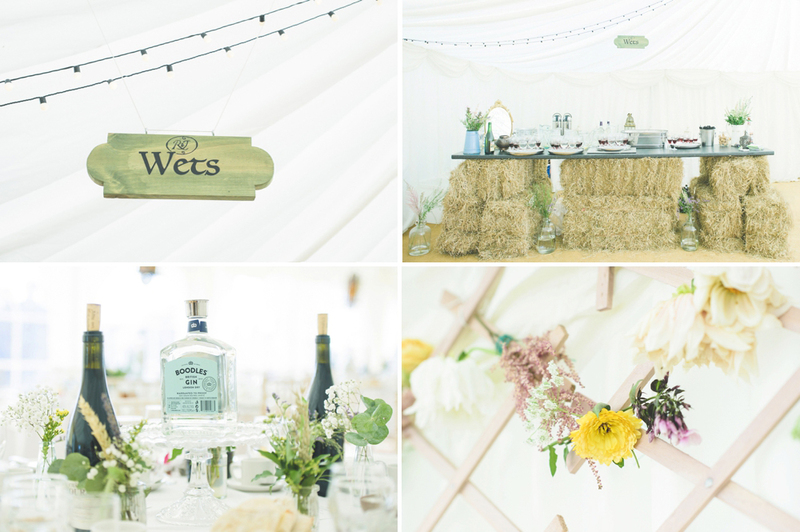 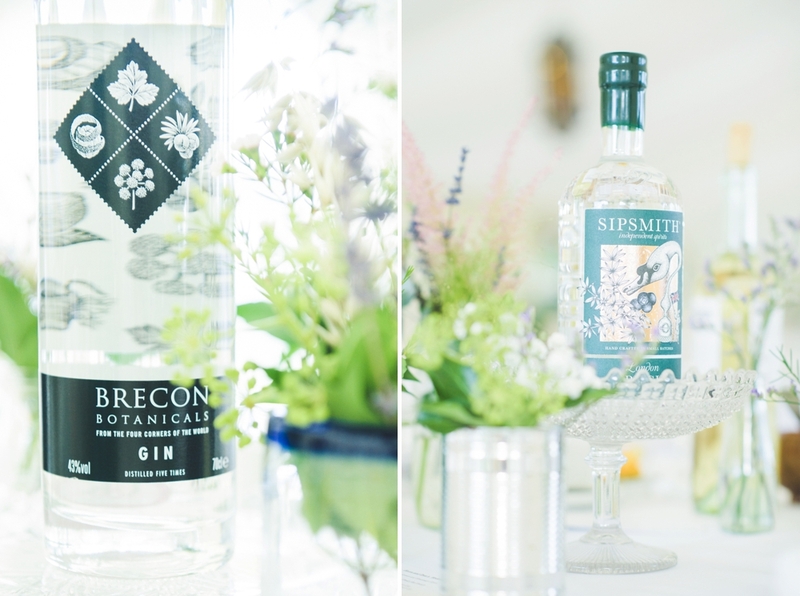 If you’re planning a rustic wedding like this and are looking for a Lincolnshire Wedding Photographer please do get in touch to discuss some ideas for your day!